The NAID AAA Certification Program is a voluntary program for NAID member companies providing information destruction services. Through the program, NAID members will be audited for mobile and/or plant-based operations in paper or printed media, micromedia, computer hard drive destruction, and/or computer hard drive sanitization. 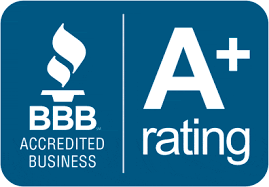 Better Business Bureau® Serving Northern Colorado and Wyoming was founded in 1983 and serves 38 counties. We are governed by a local board of directors and supported by eight boards of advisors located throughout our service area. The Berthoud Area Chamber of Commerce provides an array of outstanding opportunities and essential tools to help businesses thrive and prosper. Aligning with numerous Berthoud area businesses and non-profits, helping you to better connect with your clientele and ultimately increase business. 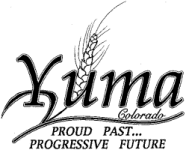 West Yuma Chamber of Commerce's goal is to develop, encourage and promote the commercial, professional, financial, residential and agricultural interests of the Yuma trade area. Promote civic interest in, and the general welfare of, the community. To extend and promote trade and commerce and to foster business and residential development. Define Protected Health Information (PHI) in the new HIPAA. Explain the challenges related to discarding PHI on a daily basis. Provide information and resources that will protect their organizations from the new mandatory fines recently added to HIPAA for improper disposal of PHI. Realities For Children provides for the unmet needs of northern Colorado children who have been abused, neglected or are at-risk. We do this by providing emergency funding, youth activities, critical distributions and collaboration resources for our 34 Partner Youth Agencies. Founded in 1969, Larimer Humane Society is an independent, non-profit organization whose mission is to promote and provide the responsible care and treatment of animals. As Northern Colorado’s largest open-admission animal care facility, we provide shelter, medical attention, and care to thousands of lost, abandoned, injured, abused, ill and orphaned animals each year. Our mission is to prevent suicide in Larimer County by raising awareness, educating and training youth and adults about suicide, and providing resources and support to those who have been impacted.